2.5 lbs of clay perfect for almost any project. No baking needed clay will dry hard in 2-3 days . 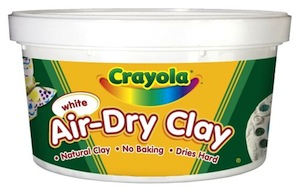 Dried clay can be painted with acrylic, tempra or watercolors.